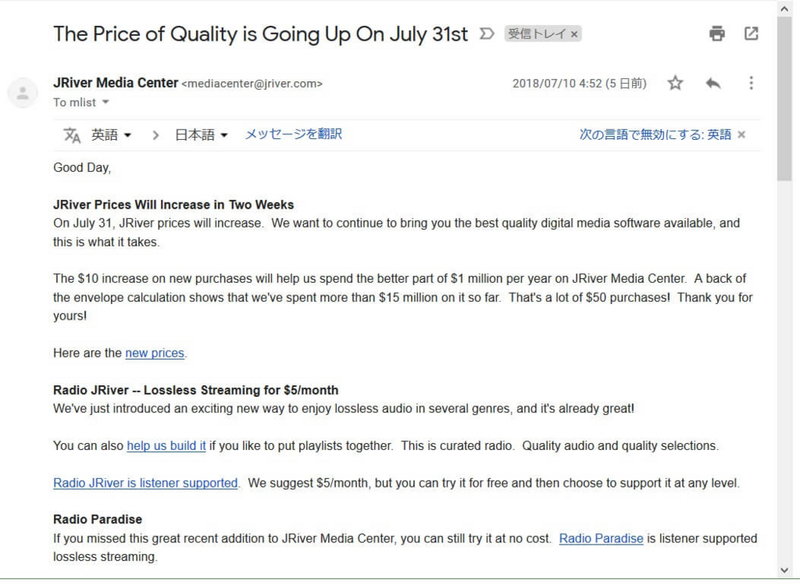 JRiver Prices Will Increase in Two Weeks On July 31, JRiver prices will increase. We want to continue to bring you the best quality digital media software available, and this is what it takes. The $10 increase on new purchases will help us spend the better part of $1 million per year on JRiver Media Center. A back of the envelope calculation shows that we've spent more than $15 million on it so far. That's a lot of $50 purchases! Thank you for yours!